Glazyev has been a foreign NANU member since 2009. The National Academy of Sciences of Ukraine ousted the advisor of Russian President, Sergei Glazyev, who is suspected of involvement in the infringement on the territorial integrity of Ukraine, the NASU reported on 15 December. The motion was supported by an absolute majority of votes at the general meeting of the NASU on 14 December. On 29 September, the general meeting of the Department of Economics of the National Academy of Sciences deprived Glazyev of the status of a foreign member of the Academy. Glazyev was elected a foreign member of the NASU since 2009 as an economist. 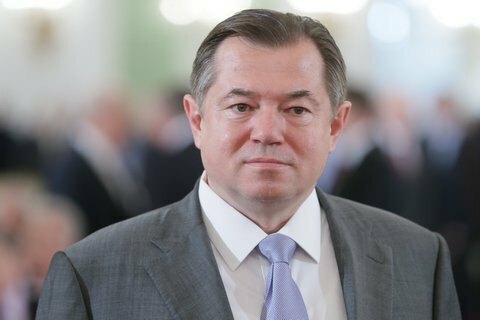 In August, the Prosecutor-General 's Office announced suspicion to 18 Russian officials , including Glazyev, of involvement in the infringement on the territorial integrity of Ukraine. In October, Kyiv's Pechersk district court authorized an in absentia trial of Glazyev.